The red rock of Bryce Canyon National Park, Utah is almost more stunning when it is partially covered in snow. 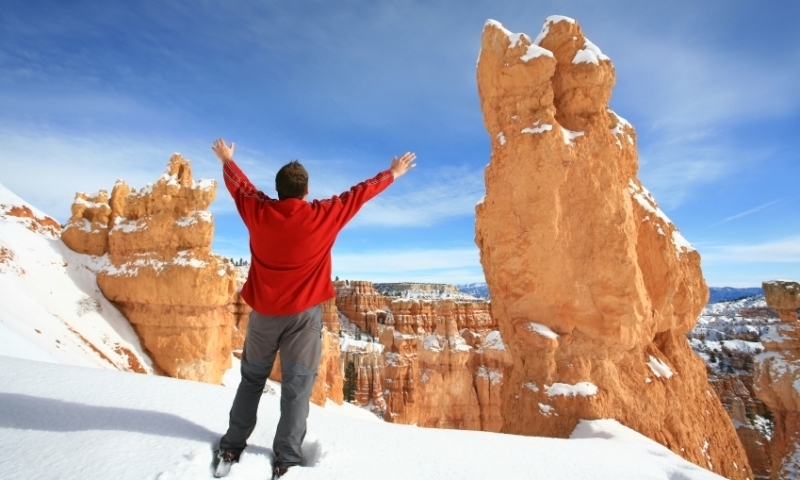 Plan your winter vacation to Utah and experience fun recreation activities in areas around Bryce like cross country skiing, snowshoeing, and snowmobiling, fun for the whole family. The closest ski resort is located just over an hour away too.